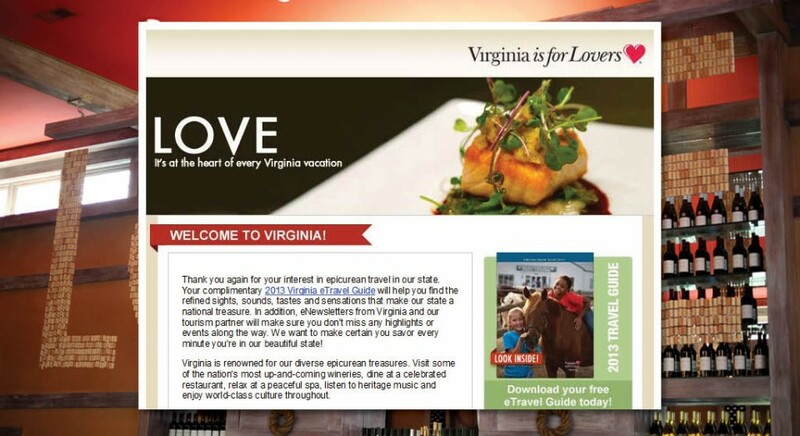 For more than a decade, the Virginia Tourism Corporation has relied on our team to deliver evolved online solutions for which we have always provided a guaranteed outcome and over-delivered on results. 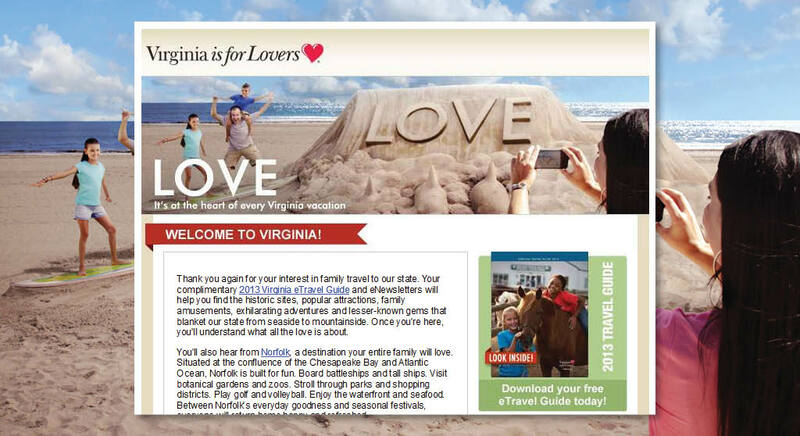 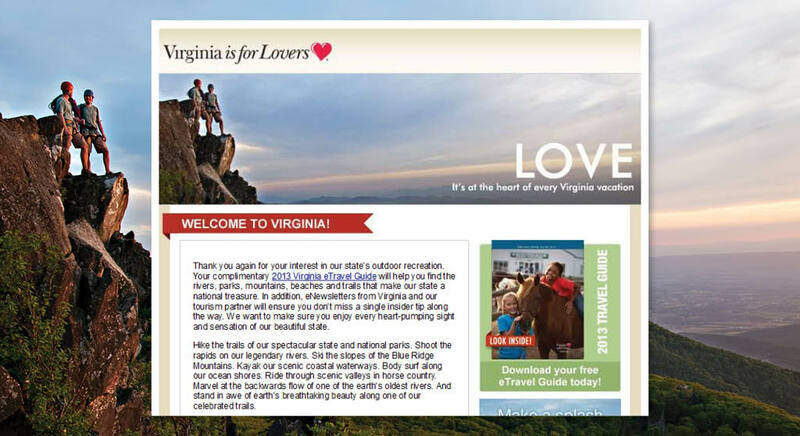 We have provided solutions based on evolving need and opportunity, including ongoing co-operative programs for the state’s tourism industry partners, the first of its kind statewide destination mobile app, plus a multifaceted, cooperative online promotion of Virginia’s Quadricentennial including an interactive “Journey’s of Passion” microsite. 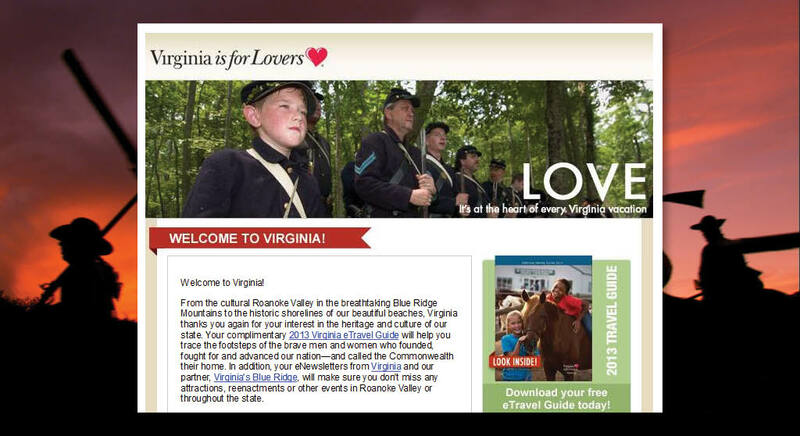 During this time, we have provided 700,000 subscribers within nine interest categories to VTC’s database, yielding more than 300,000 visitor parties and an ROI from incremental visitors of more than 200 to 1.